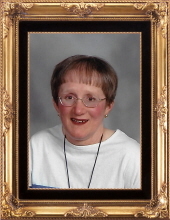 Beverly J. Pitzen, 67, of Gibsonburg and formerly of Luckey, passed away Friday, February 1, 2019 at Windsor Lane Health Care, Gibsonburg. Beverly was born on March 17, 1951 in Toledo, OH to Kenneth and Mildred (Schlea) Minich. She attended Solomon Lutheran Christian Day School in Woodville, OH for 8 years and graduated from Woodmore High School, Elmore, OH in 1969. She graduated from Davis Junior College in Toledo in 1970. She went on to work for Libbey-Owens-Ford Co. and Trinova Corp. in Toledo for 22 years having to retire due to complications of Multiple Sclerosis, which she fought a hard battle with for over 36 years. Beverly enjoyed making hooked rugs, knitting and crocheting, playing cards and reading books to her grandchildren. Spending time with her family brought her much happiness. She had a very strong faith in her Lord. Beverly is survived by her daughter: Michelle (Craig Daman) Pitzen of Bowling Green, grandchildren: Landon and Lexi Weemes, Gracie and Cameron Daman all of Bowling Green, sister: Kathy Vallance of Gibsonburg, nephew: Stephen (Amy) Vallance of TX, niece: Stefanie (Eric) Rogers of Gibsonburg, great-nieces: Olivia, Sofia and Elle. She was preceded in death by her parents, brother-in-law: Jim Vallance and long-time friend Frank Szorad. The family would like to thank Windsor Lane Health Care and ProMedica Hospice of Clyde, for the care given to Beverly. Family and friends will be received from 9-11 a.m., Wednesday, February 13, 2019 at Zion Lutheran Church, 303 Park Drive, Luckey, OH. A Funeral Service will begin at 11 a.m., with Pastor Frank Raeske, officiating. Interment will be in West Union Cemetery, Gibsonburg. There will be a bereavement luncheon served in the church fellowship hall immediately following the service. In lieu of flowers, memorials may take the form of contributions to: Zion Lutheran Church, ProMedica Hospice of Clyde; 430 South Main Street, Clyde, OH 43410 or to a charity of the donor’s choice. Those wishing to express a word of encouragement, share a memory or photo may do so at www.marshfuneralhomes.com. To send flowers or a remembrance gift to the family of Beverly J. Pitzen, please visit our Tribute Store. Officiating will be Pastor Frank Raeske. There will be a bereavement luncheon served in the church fellowship hall immediately following the service. "Email Address" would like to share the life celebration of Beverly J. Pitzen. Click on the "link" to go to share a favorite memory or leave a condolence message for the family.